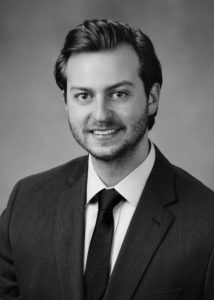 Alex Potestivo is an Associate Attorney in the Firm’s Chicago, Illinois, office assisting with matters related to Creditors’ Rights Litigation and Foreclosure. He graduated with his B.A. in Political Theory and Constitutional Democracy from the James Madison College at Michigan State University, and then went on to obtain his J.D. at Loyola University Chicago School of Law. Prior to graduating from law school, Alex served as a judicial intern for the U.S. District Court, Eastern District of Michigan where he drafted bench memorandums, assisted in writing judicial opinions, and examined case law and legal issues. Alex initially joined Potestivo & Associates, P.C., in 2008 as a File Clerk in the Firm’s Rochester, Michigan, office. This allowed him to hone his skills and become a valuable team member through both file management and process serving. He was subsequently promoted to a Law Clerk position in the Firm’s Chicago, Illinois, office where he truly discovered his niche.